Law enforcement officials in New Jersey have announced the first criminal charges filed under the state’s new “ghost gun” law. Signed by Gov. Phil Murphy in November, the law bans manufacturers from selling partially assembled guns that can be built into fully functional, untraceable firearms. 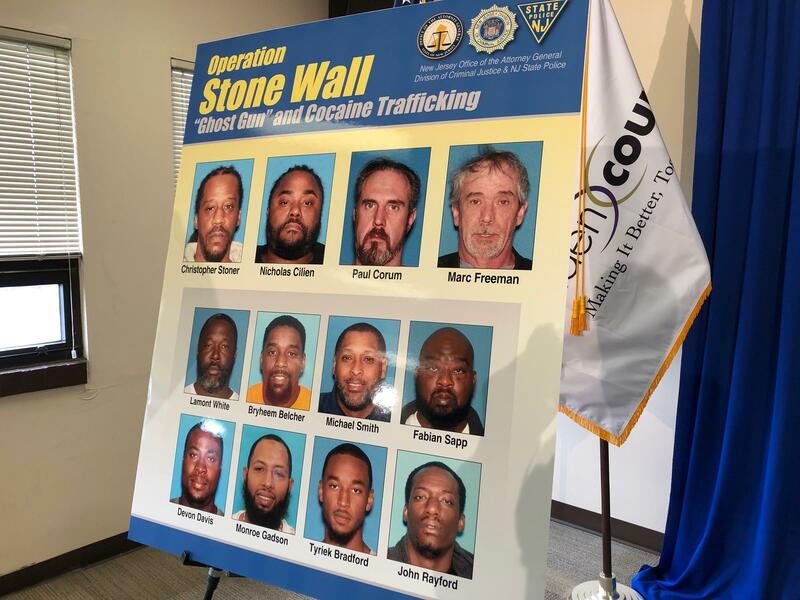 Grewal said investigators were tracking a cocaine trafficking ring in South Jersey when they learned that some of the men involved were also allegedly selling ghost guns on the street. Law enforcement officials captured two of the men discussing how the new law impacted their ability to ship the gun kits to New Jersey. The defendants allegedly began shipping the firearms to Bensalem, Pa., instead. Christopher Stoner, Nicholas Cilien, Paul Corum, and Marc Freeman each face several third-degree charges relating to ghost guns. Third-degree offenses carry a sentence of up to five years in prison and a maximum fine of $15,000. Officials seized six AR-15 rifles that Corum and Freeman had assembled from kits they bought online, as well as parts for two other AR-15s. But Grewal also directed some of his criticism toward ghost gun manufacturers, who he said should be more vigilant for traffickers and could face criminal charges if they ignore the state’s ban on selling the firearm kits. “When you see repeatedly the same address and the same individuals at the same location continuing to order parts and parts and parts and parts for the same types of guns, some red flags have to go up,” Grewal said. Stoner, Cilien, and eight other men are also facing cocaine possession and distribution charges.